Prominent & Leading Manufacturer from Hyderabad, we offer resistance temperature detectors, high temperature thermocouples, low temperature thermocouples, resistance temperature sensors, b type thermocouples and ntc sensors. Most RTD parts comprises a length of fine volute wire wrapped around a ceramic or glass core. The component is sometimes quite fragile, therefore it's usually placed within a clad probe to guard it. The RTD component is created from a pure material, generally Pt, nickel or copper. The material incorporates a inevitable modification in resistance because the temperature modifications; it's this inevitable change that's accustomed confirm temperature. 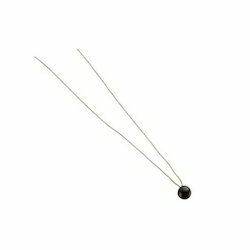 We are counted amongst leading companies for offering wide array of High Temperature Thermocouples. Our products are highly recommended amongst the customers for their best quality. 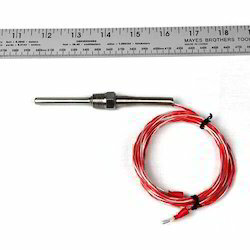 We offer High Temperature Thermocouples to our patrons in recommended specifications and used in various applications. Moreover, our products are reliable too. 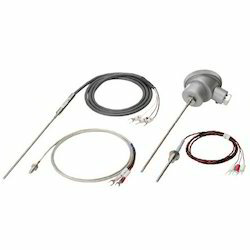 Having years of experience in domain, we offer wide assortment of Low Temperature Thermocouples. Our products are highly acknowledged amongst the customers for their effectiveness. We offer Low Temperature Thermocouples to our patrons as per the need of the application and known for their high performance. Moreover, our products are effective too. 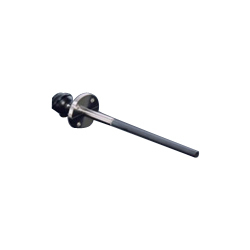 As per the international industry standards, we offer wide array of Resistance Temperature Sensors. Our products are known amongst the customers for their accurate results. We offer easy to use and highly effective products to our patrons. 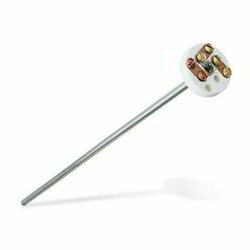 Customers like our Resistance Temperature Sensors for their hassle free performance. 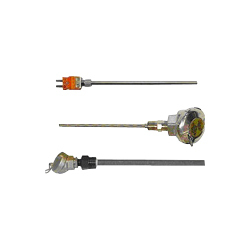 Leveraging the vast industrial experience, we are engaged in offering comprehensive range of B Type Thermocouples. Our products are available as per the international industry standards and in accurate dimensions. We offer trust free and sturdy B Type Thermocouples to our clients. Moreover, our products are available at affordable rates. We are engaged in offering bulk of NTC Sensors to our valuable customers. Our NTC Sensors are highly demanded in the market for their effectiveness. We offer products to our patrons as per their requirements and in the committed time frame. Besides these, the offered NTC Sensors are widely known for their reliability. In order to meet the requirements of the clients, we are providing a wide array of RTD Sensors. Offered sensors are used to measure temperature by correlating the resistance of the RTD element with temperature. These sensors have specialized surface RTD's for smooth functioning and ultra fast response of the sensors. The element is usually quite fragile, so it is often placed inside a sheathed probe to protect it. We are a prominent manufacturer, exporter and supplier of superior quality Sensor Thermocouples. The offered sensor thermocouples involve a combination of a positive iron wire and a negative constantan wire. 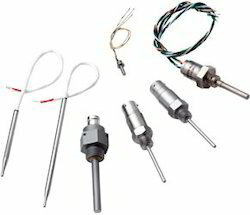 These sensor thermocouples are valued for its excellent performance, dependability, longer service life, noted quality, seamless prices, and many more. Our provided sensor thermocouples are comes in diverse adapters & compensating cables and heads cables. 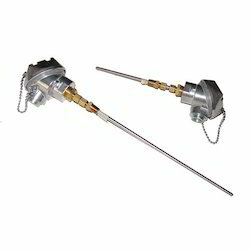 These thermocouples are used with an old equipment which is unable to accept ‘modern’ thermocouples. Backed by a team of skilled professionals, we are actively engaged in offering our clients a vast assortment of K Type Sensor Thermocouples that combines a Positive Chromel wire and a negative Alumel wire. 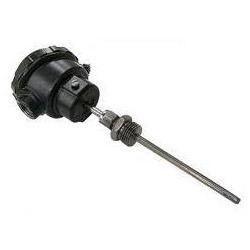 Generally used in clean oxidizing atmospheres, our offered sensor thermocouple is easy to handle and easy to maintain besides being high on performance and reliability. 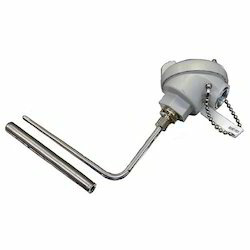 Offered sensor thermocouple is accessible in numerous specifications so as to meet the demand of customers. We are actively engaged in offering our clients a vast assortment of R Type Sensors. The offered sensors are manufactured with the best quality raw material. Our provided sensors are used for high temperature application used upto 1500°C in this type of thermocouple ceramic alumina protection tubes must be used. Also, Due to high price, R-type sensors is not suitable for common purpose use. Looking for Thermocouple Products ?